The Brooklyn Bridge Park site is long and narrow, extending 1.3 miles along the shore of the East River, from Jay Street to Atlantic Avenue. The majority of the site was a defunct bulk cargo shipping and storage complex, built by the Port Authority of New York and New Jersey in the 1950s but rendered obsolete by the rise of container shipping. Out of operation since 1983 and cut off from the surrounding residential neighborhood by the Brooklyn-Queens Expressway, the complex included six piers and several upland warehouse buildings. The north end of the site is the area under and between the Brooklyn and Manhattan Bridges, and was an underutilized landscape surrounded by light industrial and loft complexes. 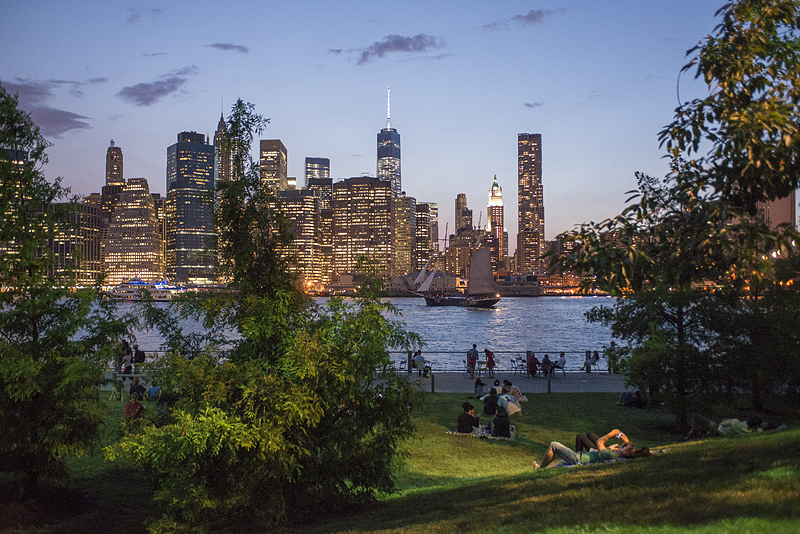 Brooklyn Bridge Park transforms this stretch of post-industrial waterfront into a thriving 85-acre civic landscape. The park mediates a system of new and refurbished connections between the city and the river, becoming a vital urban threshold that provides space for a wide variety of activities and programming, all with spectacular views of the Manhattan skyline. Careful attention to the site’s rich history and its extraordinary built and natural features ensures that this radical transformation creates an urban destination that is dynamic and engaging for generations to come. The Brooklyn Bridge Park 2005 Master Plan received a 2009 Waterfront Center “Excellence on the Waterfront” Award, a 2009 ASLA Analysis and Planning Honor Award, a 2011 Municipal Art Society of New York Brendan Gill Prize, a 2014 American Planning Association's National Planning Excellence Award for Urban Design, and a 2014 Municipal Art Society of New York MASterwork Prize for the Best Urban Landscape. NY Times - "Hey, Mister, I've Got a Park I Can Sell You"